Lawmakers needed extra time to finish a budget after the mass shooting in Parkland forced them to quickly craft a response that included a three-day waiting period, a minimum age of 21 to buy a gun in Florida, and $400 million for mental health and school safety and a program that allows school personnel to carry concealed weapons. The National Rifle Association has challenged the law in federal court. "We had an incredible session, but probably the most important thing we did this year is we listened to the families of Parkland," said Gov. Rick Scott, who joined legislative leaders at an end-of-session ceremony. Scott signed the gun and school safety legislation (SB 7026) on Friday, surrounded by parents of several Parkland victims. It was the first scheduled legislative session on a Sunday in decades. Senate President Joe Negron, R-Stuart, and House Speaker Richard Corcoran, R-Land O'Lakes, gaveled the session to order at 3 p.m. The $88.7 billion budget passed the House 95 to 12, and the Senate, 31 to 5. The overtime election-year session lasted 75 minutes and ended with a ceremonial dropping of handkerchiefs by the sergeants-at-arms in the Capitol rotunda. The statewide increase in per-pupil spending is $101.50, but larger school districts such as Pinellas (at $73.12) and Hillsborough (at $83.85) will get less than that because of required minimum amounts for other education categories. Miami-Dade Superintendent Albert Carvalho blasted the budget on Twitter, calling it "historically disappointing" for South Florida schools. "How can anyone justify per-student increases of $65.06 and $52.35 for Miami-Dade and Broward, respectively?" Carvalho tweeted, citing those counties' higher costs of living than most of the rest of Florida. Senators who voted against the budget were Democrats Daphne Campbell of Miami, Bill Montford of Tallahassee, Jose Javier Rodriguez of Miami, Annette Taddeo of Miami and Perry Thurston of Fort Lauderdale. All 12 House dissenters also were Democrats. They were Kamia Brown of Orlando, Tracie Davis of Jacksonville, Bobby DuBose of Fort Lauderdale, Evan Jenne of Dania Beach, Sharon Pritchett of Miami, David Richardson of Miami Beach, Sean Shaw of Tampa, Carlos Guillermo Smith of Orlando, Cynthia Stafford of Miami, Barbara Watson of Miami, Clovis Watson of Gainesville and Patricia Williams of Lauderdale Lakes. Richardson said he voted against the budget because it includes a $4 million increase in the amount of taxpayer money given to the operators of seven private prisons. Four of the prisons are run by the Geo Group, based in Boca Raton, a major contributor to the Republican Party of Florida and GOP candidates. Legislative leaders defended the subsidy by saying that raises last year for correctional officers who work for the state had created a wage disparity with private prisons. "We gave a substantial pay increase to employees who work in our prisons," Negron said. "The problem is, it created a wage disparity with the employees of our private prisons that are partners of us as well." Lawmakers reached a budget compromise at 1:40 p.m. Thursday. The state Constitution requires a 72-hour cooling off period after a budget deal and before a final vote, and that period expired at 2:40 p.m. on Sunday because of the change to daylight saving time. Scott has final say over the budget (HB 5001), including the power to veto any line item spending. The two-term Republican governor, who is expected to run for the U.S. Senate, has vetoed more than $1 billion in legislative spending in seven years as governor. "I'll think about my future in the next few weeks," Scott told reporters. 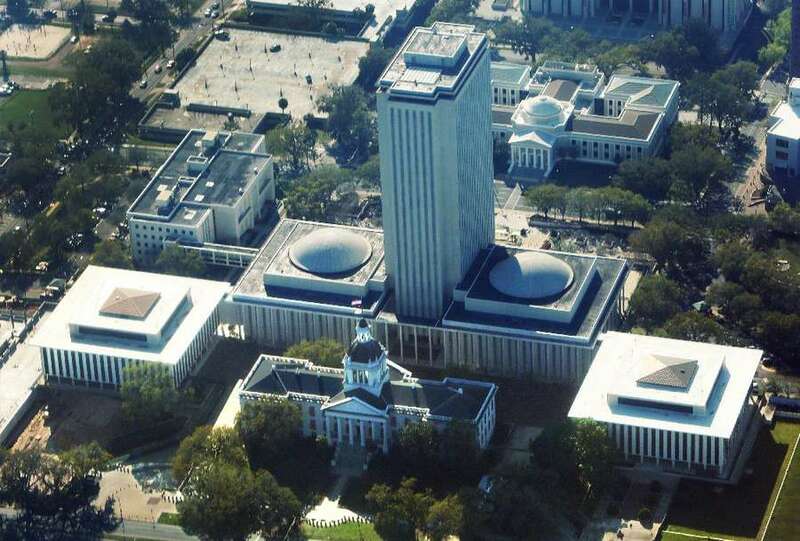 The largest budget in Florida history contains dozens of parochial projects in lawmakers' districts. Also on Sunday, lawmakers approved a package of tax cuts (HB 7087) valued at about $171 million, the smallest in years. For most taxpayers, the tax cut highlights are a sales-tax holidays for back-to-school purchases and for hurricane-season preparations. At the last minute, a three-week tax break for disaster preparedness items was reduced from three weeks to one week. Legislators said the size of the tax cut package shrank because of the need for new revenue to pay for school safety improvements and mental health counseling as a result of the massacre at Marjory Stoneman Douglas High School in Parkland that took 17 live on Feb. 14. Rep. Paul Renner, R-Palm Coast, chairman of the House Ways & Means Committee, said the size of the tax cuts had to be reduced because of an imperative to respond to the Parkland shootings. Asked why the tax cuts were not larger, Renner replied: "Parkland … We did the best we could with available dollars. Our priorities changed … and that's absolutely appropriate." Despite a trimmed tax package, lawmakers added sales tax exemptions for generators purchased by nursing homes and assisted living facilities through December. The exemptions are estimated at up to $6.7 million. "They had this imposition of saying you have to go out and provide generators not just for what they're already doing, but also for [air conditioning]," Renner said. Slipped into the tax cut package in the session's final hours was a provision that creates a new section of law for online handyman services, including Handy Technologies, a firm founded six years ago in Massachusetts. Consumers can access the service through an app on their phones. The provision benefiting Handy Technologies was sponsored by Sen. Rob Bradley, R-Fleming Island, the chairman of the Senate Appropriations Committee, and the House concurred with the provision. Bradley said the provision only endures that companies are not sued over disputes between contractors and employers. "I don't think anybody's rights or responsibilities changed with what we did," Bradley said. "What we did is ensure that there will not be litigation on these questions." Bradley confirmed that Handy asked for the change. Handy Technologies is represented by Brian Ballard, a leading Tallahassee lobbyist and Republican fund-raiser and by former Rep. Chris Dorworth of Orlando, who works for Ballard's firm. Another last-minute provision requires tax collectors to assess the damage for property by a hurricane or other natural disaster and provide a refund equal to what a property owner received from a disaster relief credit. As Scott and legislators congratulated each other on a job well done, the gun debate continued to reverberate across social media as Democrats criticized Republicans for their refusal to consider a ban on assault weapons like the type used in Parkland. "#FLGovScott and the GOP Legislature should be ashamed for what they refused to do," tweeted Michael Rajner, a political activist from Wilton Manors who joined thousands of others at a Capitol demonstration on February 21, a week after the Parkland massacre. Times/Herald staff writers Mary Ellen Klas, Elizabeth Koh, Emily L. Mahoney and Lawrence Mower contributed to this report.